November is the national month of writing novels. Starting on November 1st, writers all over the globe start fresh on a new manuscript with the plans of finishing a first draft by the end of November 30th. And by finishing, I mean hitting the 50,000-word mark. I’m all for setting yourself up for success, and part of that for a lot of writers means planning out their NaNoWriMo novel before November 1st. 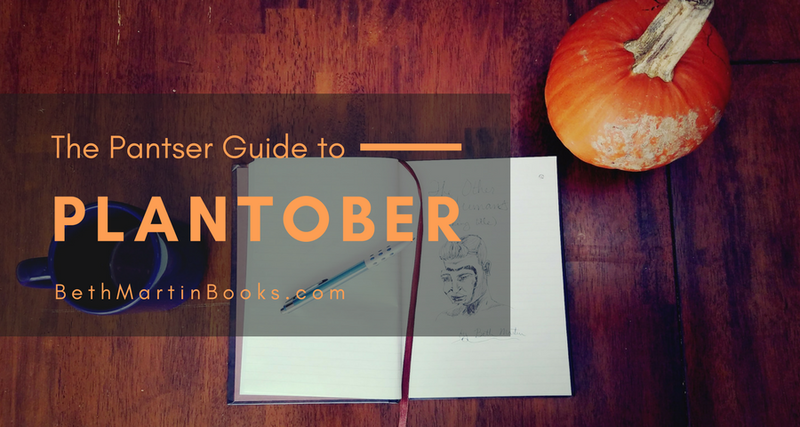 Therefore, October becomes National Novel Planning Month. On the flip side, I write without an outline, starting with just a general idea of what my story is going to be about. So what can I even do ahead of time to get ready for November 1st? For some people this means music; for others this means images. Whatever you find inspiring, put together a collection which matches the mood or theme you want to focus on in your book. Go ahead and make up a writing playlist or put together an aesthetic board/photo collage. Once it’s November and you’re furiously writing, these collections of inspiration will really help keep the creative juices flowing and stave off the dreaded writer’s block. The best way to kill your flow while writing is to introduce a new character/place/technology and realize you have to name it. Some writers use a placeholder name with the intentions of replacing it later, but this is how you get attached to really mundane names (for example, the cool, futuristic cell phones in Quality DNA are called ‘devices’). At the heart of every story is the central conflict. The central conflict is what drives the entire novel. Even if you’ve got the central idea pinned down (e.g., in a dystopian future, robots are so advanced that humans don’t need to work) it’s easy to spend your writing sessions crafting detailed exposition and meandering scenes without including any forward momentum. The inciting event which introduces the central conflict needs to be in the beginning of the novel, so go ahead and tack these details down ahead of time. Otherwise, you may find yourself throwing out the first several chapters because nothing interesting happens in them. The NaNo website asks you to provide the title, cover image, blurb, and an excerpt from your novel when you add it. I am of the strong belief that all of these items should be settled on after your book is written, but I guess part of the fun of NaNo is sharing the details of your work-in-progress with other writers. I tend to use a working title and write a blurb that describes the book without focusing on being salesy. But do have some fun with the cover. No one expects you to be a graphic designer or that your NaNo cover will resemble a real cover, so don’t worry about it being perfect. If you can draw, go for it! If you can’t, follow one of the e-book cover templates on Canva. Grab one of the inspirational images you collected in the first step and put your working title on top—it really doesn’t need to be more complicated than that. To illustrate what I mean, here is the cover I made for NaNoWriMo 2015 for a novel called To Tame a Unicorn1. I still need to describe my novel for this year, and once I start writing it I’ll choose an except. And by choose I mean copy the first few sentences because the opening of any novel needs to be killer. I hope you found these tips helpful. And in the meantime, go ahead and add me as a buddy. A final note about NaNo: You can do this! Just remember, NaNo is supposed to be fun. Don’t kill yourself trying to write a novel if you don’t enjoy it. Writing isn’t for everyone, and winning NaNo doesn’t make you a real writer. Sitting down and writing is what makes you a writer. 1 I will not be publishing this novel. It is terrible. And no, you cannot read it.